BOASTING A CORNER PLOT POSITION, THIS SPACIOUS TWO BEDROOM HOUSE BENEFITS FROM SOUTHERLY FACING REAR GARDENS, TWO OFF-ROAD CAR PARKING SPACES AND NO ONWARD CHAIN. 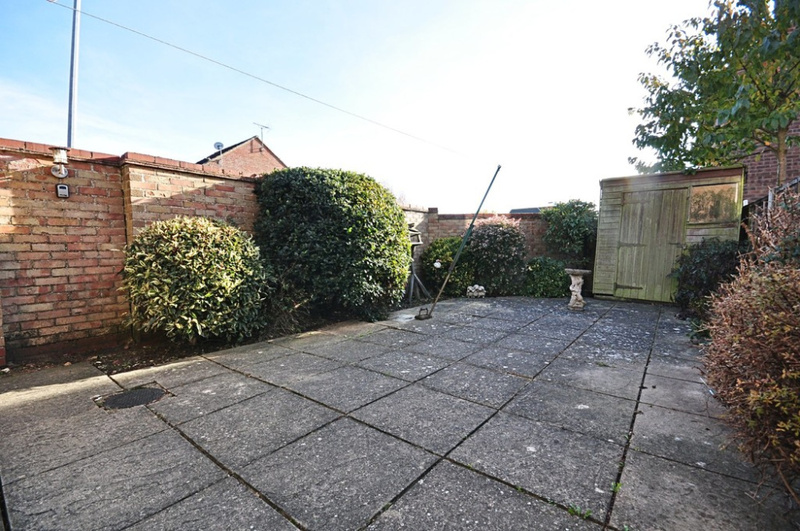 SITUATION Located to the west of town the property is found upon Basham Street being a small no-through road consisting of similar attractive properties. 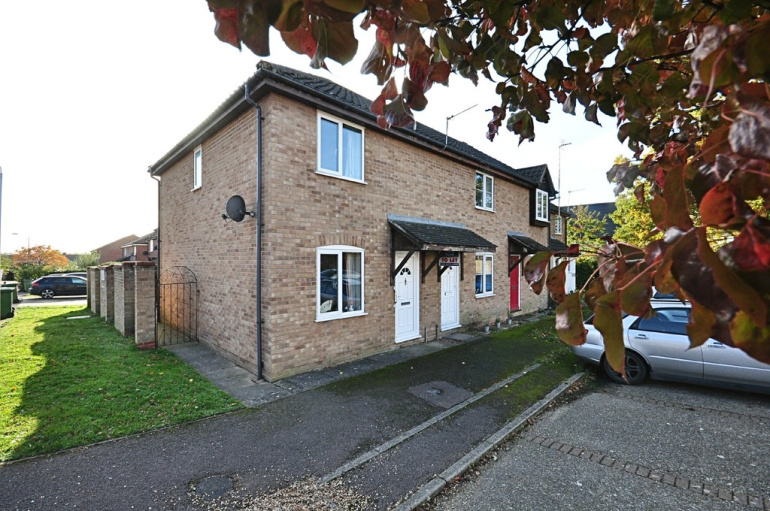 Over the years the location has proved to have been a popular residential area for homeowners due to its close proximity to both the town centre and open rural countryside. 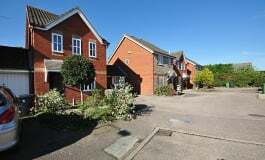 DESCRIPTION: The property comprises of a two bedroom end of terraced house having been built some thirty or so years ago by respected builders Wimpey Homes and is of traditional brick and block cavity wall construction under a pitched interlocking tiled roof. In more recent years there has been the installation of replacement sealed unit upvc double glazed windows and doors. The property is heated by electric heaters however gas has been connected to the property. 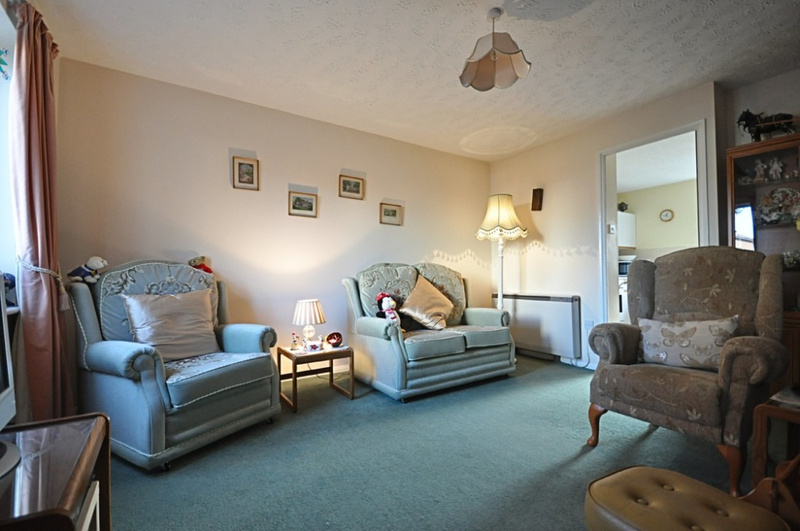 Over the years the property has been well maintained and cared for and offers particularly spacious accommodation for a two bedroom house in comparison to more modern properties. 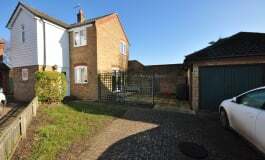 EXTERNALLY The property is set upon a corner plot with two off-road car parking spaces to the front. The main gardens lie to the rear and are of a generous size having been paved for ease of maintenance enclosed by concrete posts and panel fencing with high brick walling. 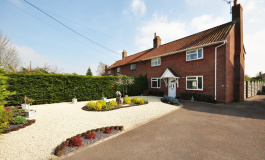 The gardens enjoy a southerly aspect taking in all of the afternoon sun whilst having a good deal of privacy/seclusion within. 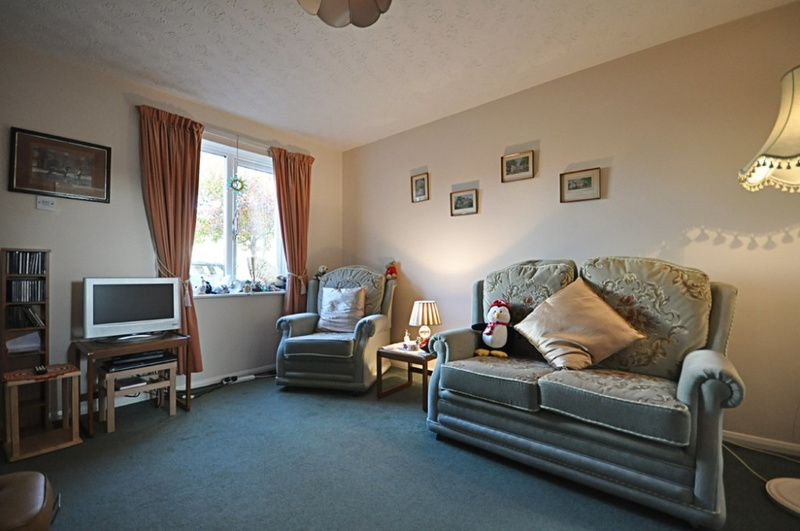 RECEPTION ROOM: 14' 1" x 12' 9" (4.31m x 3.90m) With window to the front aspect and upvc double glazed frosted door to front. Stairs rising to first floor level. Secondary door giving access through to the kitchen. Pleasant views to the front into the square and down the street. 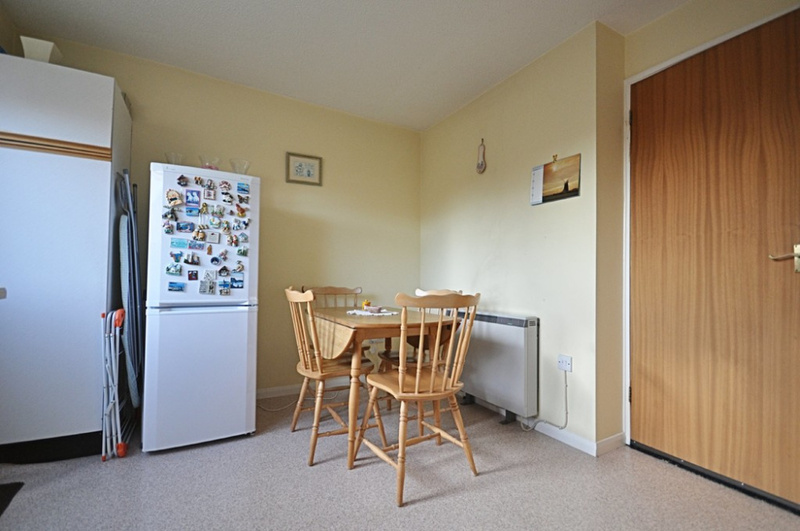 KITCHEN/DINER: 10' 3" x 12' 9" (3.14m x 3.90m) With window to the rear aspect and further upvc door giving external access onto the southerly facing gardens. 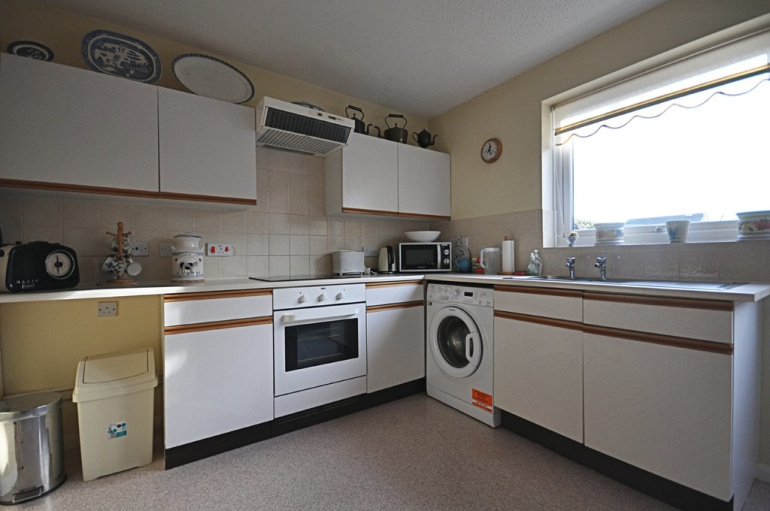 The kitchen area has a good range of wall and floor unit cupboard space with roll top work surfaces, tiled splashbacks, inset stainless steel sink with drainer and mixer tap. Four ring electric touch hob to side with extractor above and oven below. Space/plumbing for automatic washing machine to side. 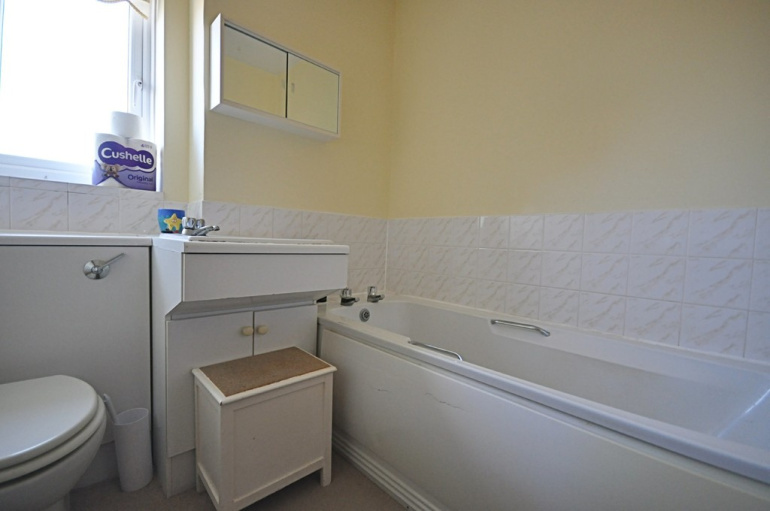 (Washing machine and fridge freezer to be included within the sale). 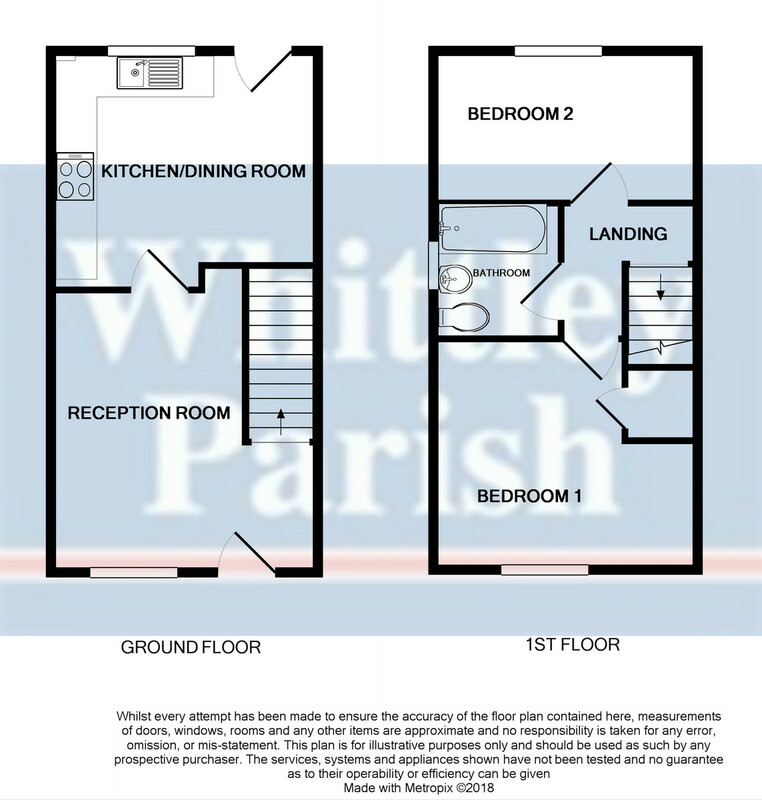 LANDING: 6' 5" x 5' 11" (1.96m x 1.82m) With stairs rising from ground floor level, access to the two bedrooms and bathroom. Access to loft space above. 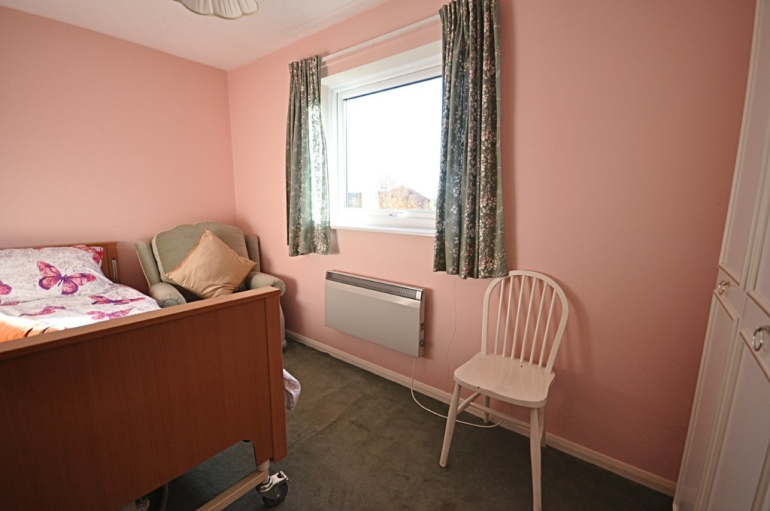 BEDROOM ONE: 10' 1" x 12' 8" (3.08m x 3.88m) (maximum measurements) Built-in airing cupboard over stairs housing the hot water cylinder. Window to the front aspect. 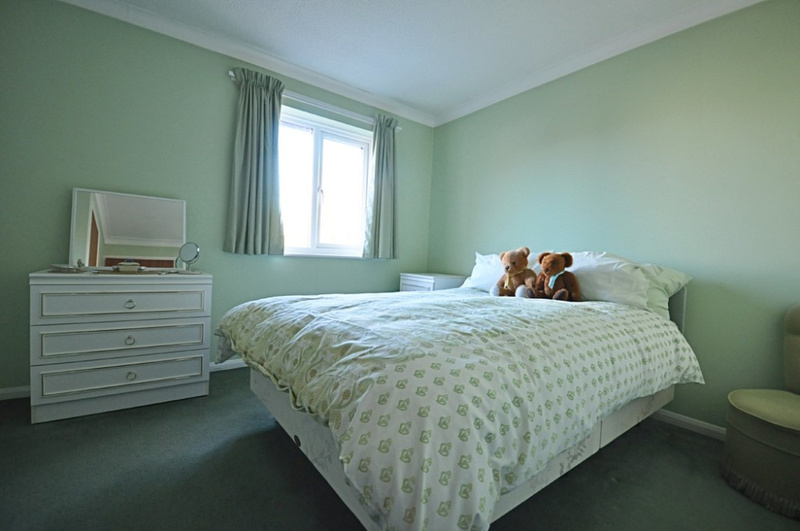 A large double bedroom. BEDROOM TWO: 6' 9" x 12' 9" (2.07m x 3.90m) Found to the rear aspect of the property having elevated views to a southerly aspect. Space for a double bed. BATHROOM: 6' 3" x 6' 7" (1.91m x 2.01m) With frosted window to the side aspect and comprising of a panelled bath, low level wc and wash hand basin.